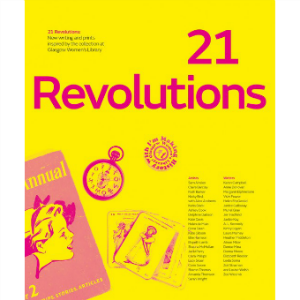 21 Revolutions provides a detailed and inspiring insight into the vital work of Glasgow Women's Library since its inception in 1991. This covetable, lavishly illustrated book features new writings and prints inspired by the GWL collectioin by the leading luminaries of Scottish arts and letters, including writer A.L. Kennedy, Denise Mina and Louise Welsh and artists Sam Ainsley, Karla Black and Claire Barclay.